This is an aerial view of where the proposed PacWest silicon smelter would be located, just south of Newport, Washington. One step forward today [Tuesday] toward a new silicon smelter just south of Newport, in northeastern Washington. The state Department of Ecology has formally begun the process of evaluating the proposal by the Canadian firm PacWest Silicon. That kicks off a 30-day public comment period that will include two hearings next week in Washington and one in north Idaho. The company wants to take sand it mines up in British Columbia, truck it across the border and combine it with other ingredients and a whole lot of heat to turn it into silicon metal, up to 73,000 tons a year. The finished product would be sold to manufacturers of goods such as solar panels. News about the smelter has been circulating in northeastern Washington and north Idaho for more than a year. But because the company hadn’t submitted a proposal to regulators, who must issue the necessary permits, there wasn’t anything tangible for regulators to assess. Now the agency is asking people what it should consider as it evaluates the project. “What are the elements of the environment that we should analyze and look at? Should we look at air? Should we look at wildlife? Should we look at cultural resources? How far in distance should we look? Where are they going to get water from and is there another alternative that’s more protective?” said Ecology Department spokeswoman Brook Beeler. The project has divided the community. There are those who think the proposed site is a terrible place for an industrial plant because of its potential for air pollution, and those who think its environmental dangers are overblown. They tout the potential economic benefits. The Department of Ecology has begun an initial 30-day public period. The agency will hold four public meetings, including three next week: Tuesday night in Spokane, Wednesday night in Newport and Thursday night in Priest River, Idaho. The fourth will be an online webinar in about two weeks. You can read more about the proposal here. A Canadian mining company has officially asked the Washington Department of Ecology to begin the review process for a proposed silicon smelter in Newport. A lawsuit has been filed against Pend Oreille County, the Pend Oreille Public Utility District, and a Canadian company over a proposed silicon smelter. The suit, filed this week, claims that the Pend Oreille Public Utility District illegally bought a parcel of land from the county to sell to the Canadian company, HiTest, along with three other parcels it already owned and had declared surplus. 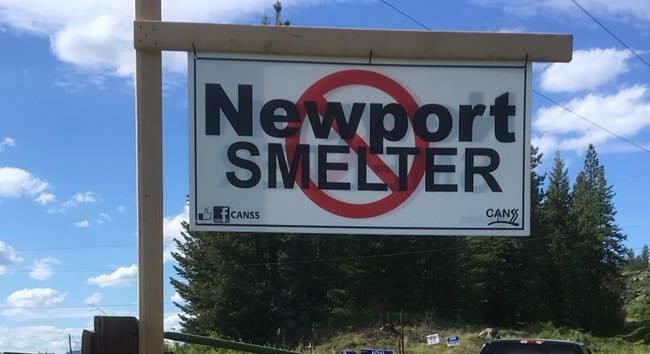 Attorneys representing opponents of the Pac West smelter proposal for a facility near Newport have sent a letter to the Washington Department of Ecology, with concerns about the process for permitting the smelter.